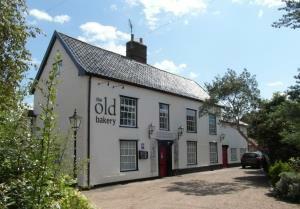 The Old Bakery01379 676492work01379 676492fax Guest AccommodationSet in the beautiful Waveney Valley, a small but perfectly formed, quintessentially Norfolk village, Pulham Market has a traditional Village Green surrounded by charming thatched cottages, the village pub and shop and the wider stunning rural countryside scenery. Set in the beautiful Waveney Valley, a small but perfectly formed, quintessentially Norfolk village, Pulham Market has a traditional Village Green surrounded by charming thatched cottages, the village pub and shop and the wider stunning rural countryside scenery. Please note that we do not accommodate children under 16 years of age or dogs. The grid shows the prices and daily availability from Mon 22 Apr 19 to Sun 28 Apr 19. It's easy to check availability for particular dates; just use the calendar to choose the check in date, select the number of nights and click the 'Search' button. Click the Book button to book the highlighted days. With Book the room booking will be confirmed immediately, with Book the room reservation will be confirmed within 24 hours..